In a bid to strengthen the public health infrastructure and medical education in the country, the Union Minister of Health and Family Welfare Shri j P Nadda gave a nod for the expansion of AIIMS Trauma Centre attached to AIIMS New Delhi. 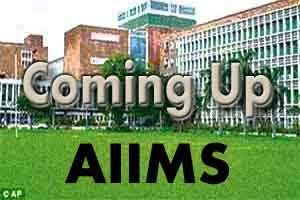 As part of this expansion, AIIMS has also been allotted 15 acres of the land by Delhi Development Authority. The expansion plan includes a Centre for Digestive Diseases, Centre for Endocrinology, Centre for ENT, a Spine Centre, a Bone Marrow Transplant Centre and Kidney Transplant Centre. To be built with a capacity of 1841 beds, the total project cost is estimated at Rs 2700 Crore. The total numbers of beds are spread across Trauma (445), Digestive (465), ENT (334), Endocrinology (244), BMT (88), Kidney (63) and Spine (202). The expansion of the AIIMS Trauma Centre is based on a green building concept and will have efficient management of energy and water resources. The building will further have features like restoration and protection of health environmental quality, reinforcement of natural systems, enhancement and protection of health and indoor environmental quality, analysis of the life cycle costs and benefits of material and methods; and integration of the design decision-making process. It will also encourage sustainability practices and will therefore be water and material efficient. The building will have low discharge fixtures, rain water harvesting, dual flushing cistern, use of curing compound and drip irrigation, use of native species of shrubs and tree having low water demand in landscaping, waste water treatment and resuse of treated water for irrigation and cooling towers. As far as material for building is concerned it will have ready mix concrete with more than 30% fly ash content. There will be grass pavers blocks for ground water recharge and will use low voc paints. The building will also consist of dust and noise control along with no smoking zones. “Through this concept we will be able to lower energy and water consumption thus contributing towards our environment also. This will in turn help us in significantly improving the quality of health care facilities at these institutions, said Shri Nadda.